What does being a music plebeian mean? Ask Carmen Rachiteanu, host of Plebeian Pleasures on CJLO, who mindfully describes the distinction between plebeians and patricians in Ancient Rome. “The patricians are like the upper class, the most knowledgeable ones—the plebes were like the mainstream noobs who like mainstream stuff,” Rachiteanu explained. That’s the audience that Rachiteanu wants to play music for: the people who like a bit of everything but not to the point of diving into an abyss of obscurity. The show’s genres run the gamut from pop, electronic, hip-hop to metal—she plays a bit of everything, wanting everyone to enjoy a part of her show. The most often played genre is indie rock. “Everyone kind of likes indie rock somewhere deep inside,” Rachiteanu said. 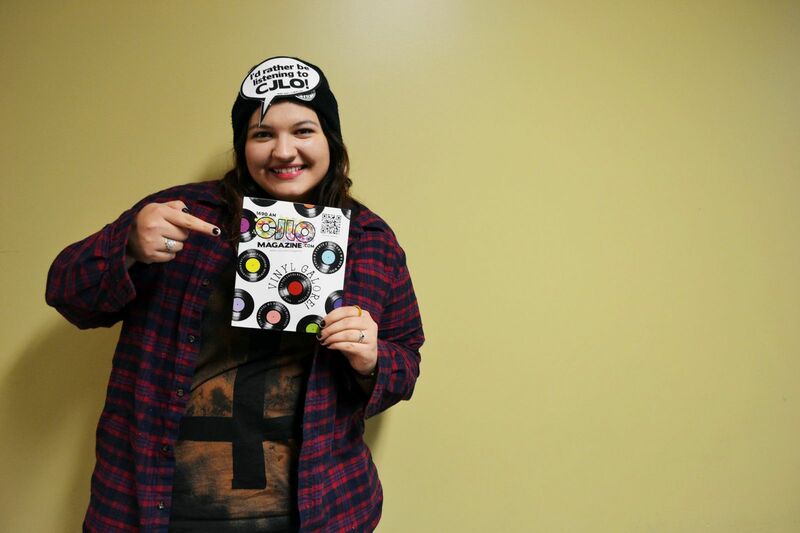 She is an English major who finds the time between classes to run to CJLO at the Loyola campus and host her show. Immersed in spreading the good sounds, she even found herself DJ-ing at the Loyola Luncheon a few weeks ago. She laughed when she recalled that she received as many compliments about the cat stickers decorating her laptop as her music choices. “I am a cat person,” she declared, never apologetic for what she likes. Inspired by her music patrician friends poking fun at her “common” tastes, Rachiteanu embraced her plebeian identity and plays paradoxically hard-to-find music that would be mainstream if only more people knew about it. The playlists are based on bands and musicians who are passing through Montreal that week, allowing listeners to get interested in and excited about upcoming live shows. Coming from a “noob” music background, she knows what it’s like to not have a lot of information. To help listeners along, Rachiteanu arms herself with notes on every band she plays in order to give details on concerts, venues and trivia. Rachiteanu’s ultimate goal is to get listeners out to support their new favourite artists. “Live music is the purest sound you will ever get, so if you like music, the best thing is to go encourage the band’s tour,” she said. Until then, Rachiteanu wants you to listen to her show and discover a new pleasure that you might never have discovered otherwise. Get introduced to Plebeian Pleasures by streaming past episodes on CJLO.com, or listening in on Mondays between 11 a.m. and 12 p.m.